Today, instant gratification and setting delivery expectations are crucial for any company that wants to retain customers and subscribers. Consider Amazon, for example. The company owns ecommerce in the US (with a 49% market share), and the company didn’t get there on accident. With this in mind, it’s worth considering what drives its success. 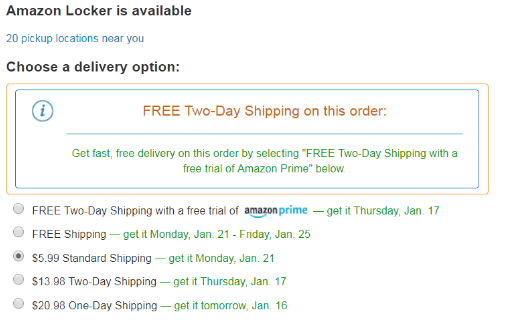 Amazon will deliver virtually any product the same day, the next day, or in two days – for free. To support this effort, the company is buying planes, trucks, warehouses, and drones – anything to get products to customers as quickly as possible. Digitally, Amazon offers a “start reading now” feature for Kindle users, which allows customers who buy a print book to start reading the content on their Kindle device before the book even ships. Fortunately, Amazon doesn’t have to be the only one to offer instant access to just-bought items. With eMagazines, publishers can provide instant access to current issues when new subscribers sign up. Why make your readers wait? Show them how much you value immediate fulfillment by extending better service and making reading more convenient for them. With this feature, new readers won’t miss out on the current issue issues and the topics they care about while they wait 6 to 8 weeks for their first issue to arrive. eMagazines’ instant digital delivery system is easy to use. Customers just click a link sent via email, no login required. This is especially ideal for subscribers who tend to avoid digital formats, and prefer reading print most of the time. By offering instant, easy access and content customers wouldn’t have otherwise, your company will gain a competitive edge and see an increase in subscriptions. In fact, our customers see a consistent 5% increase in subscription rates and open rates on digital editions that can reach up to 30%. Ready to learn more? Contact eMagazines today to learn more about our reflowed digital editions and instant delivery system.